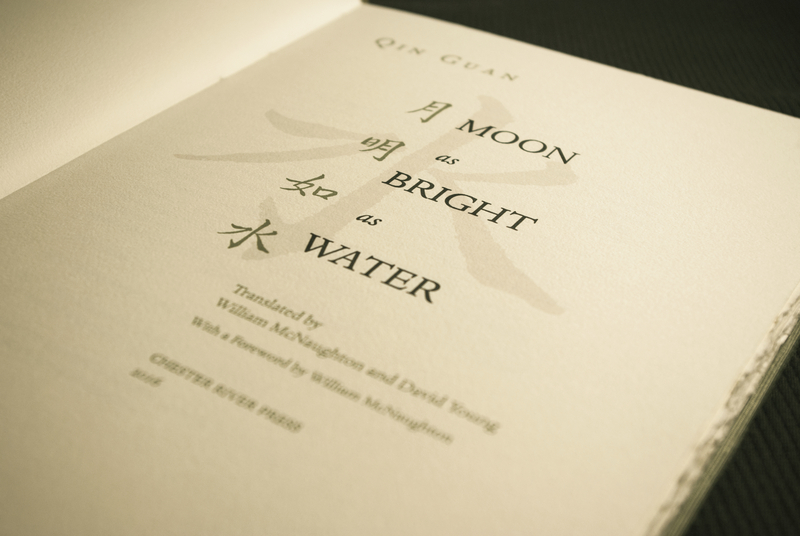 As promised, here are some more pictures of the regular edition of Moon as Bright as Water for you to enjoy. 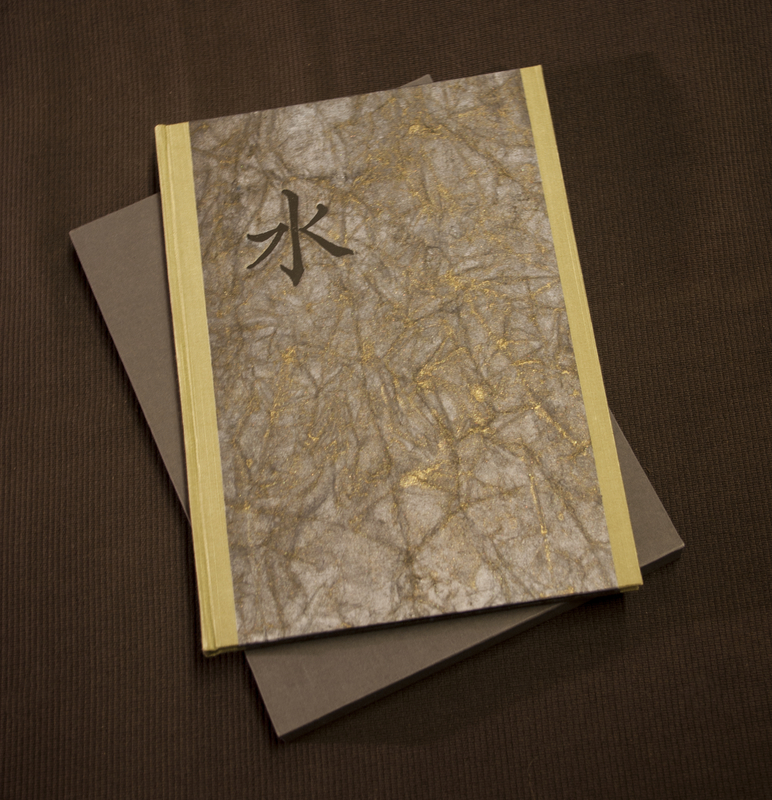 This book is exceedingly difficult to photograph with the batiked paper changing color at different angles. 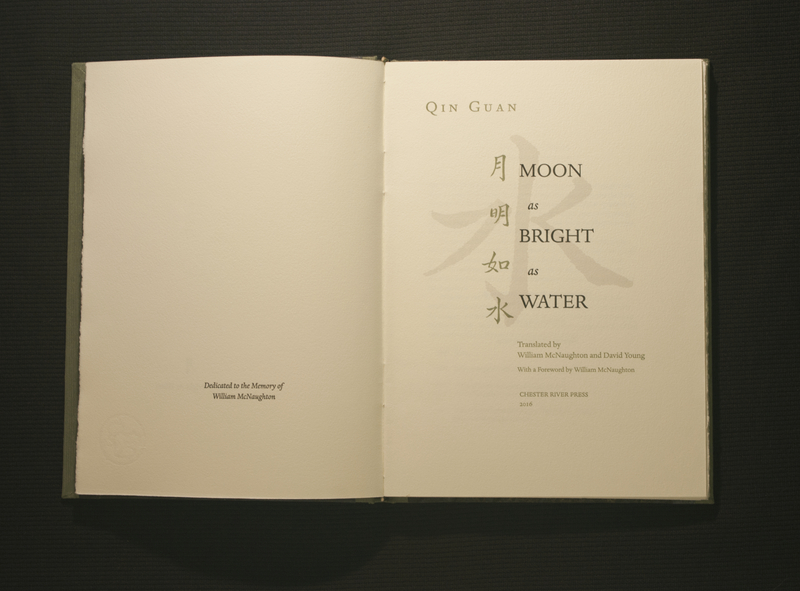 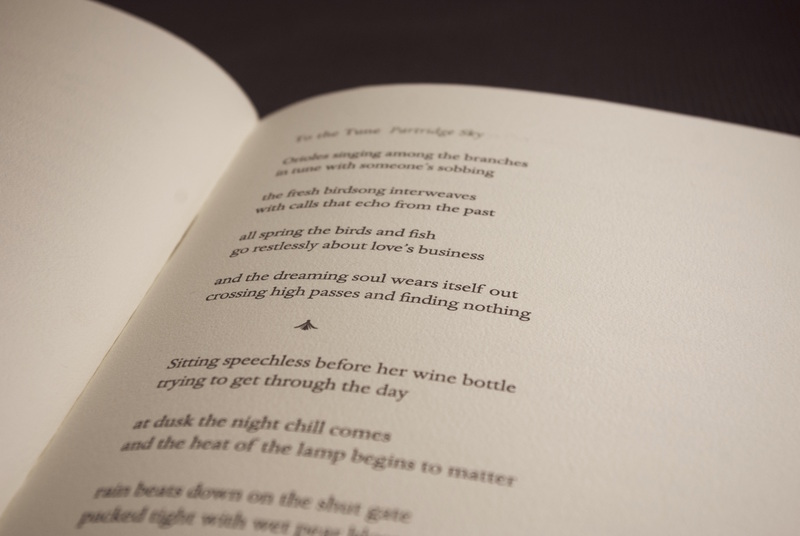 The book is printed in three colors on 150gsm Hahnemühle Biblio and type is composed in Dante. 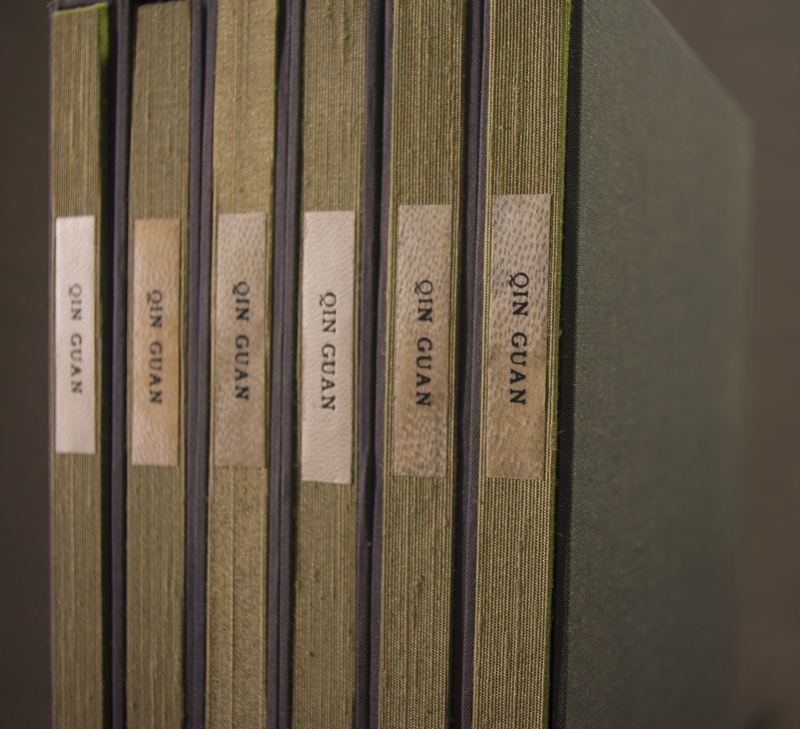 This edition is covered in a sage Asahi book cloth with cotton indigo colored Shizen batik paper with a hint of gold highlights and has a velum spine title. 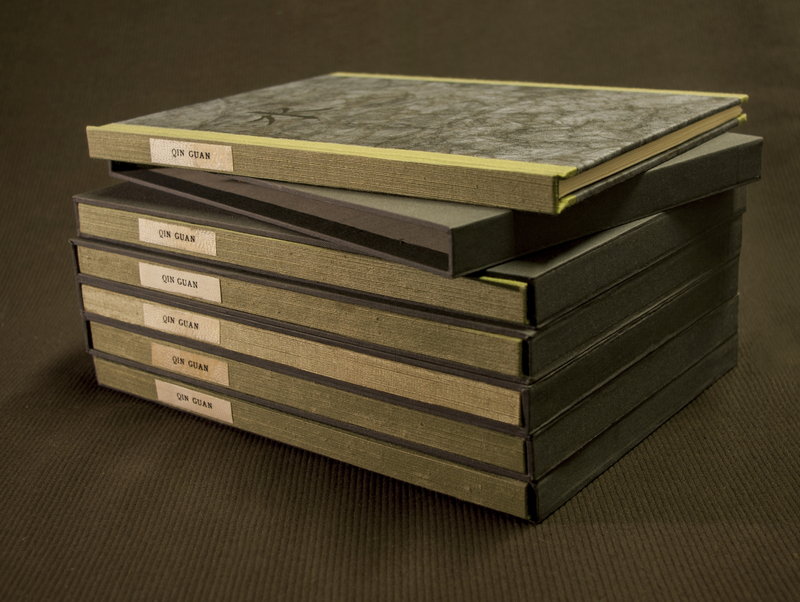 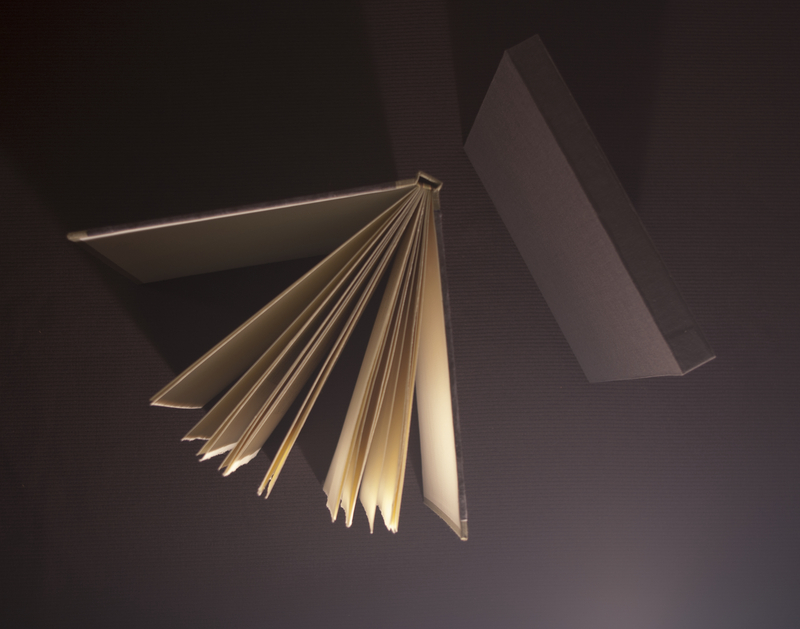 It is housed in a slipcase of warm grey cotton book cloth. 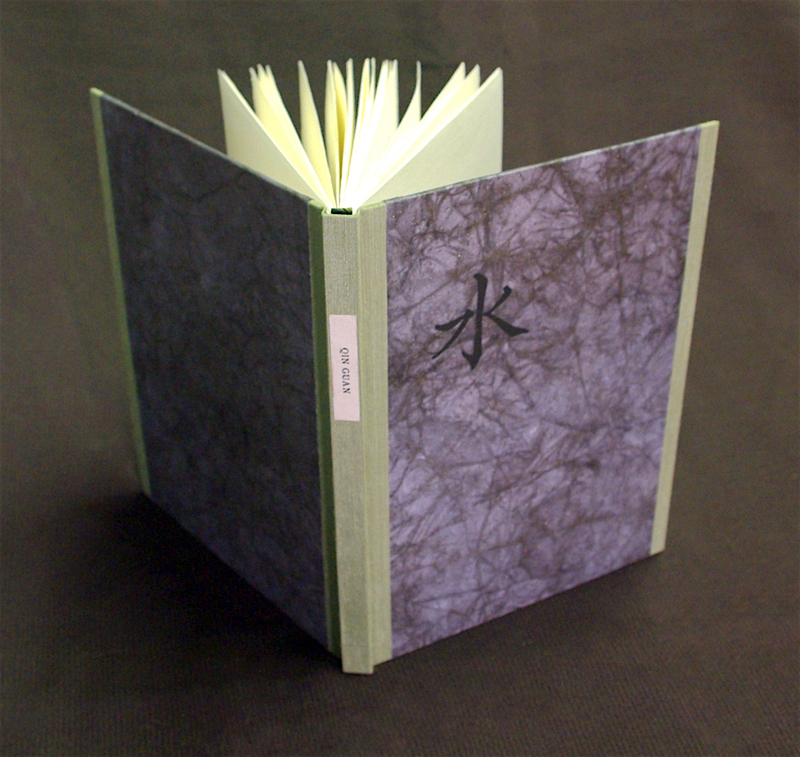 I will have it on my website available for purchase upon my return from the Oak Knoll Fest this coming weekend.